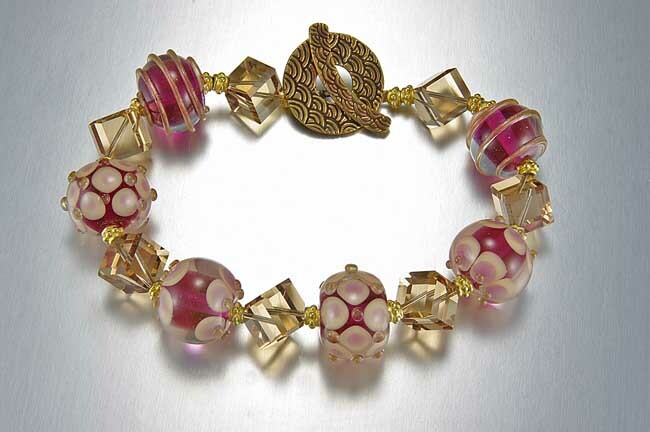 This bracelet is made out of many different patterned Thai Hilltribe beads. With the price of silver on the rise, so does the price unfortunately. 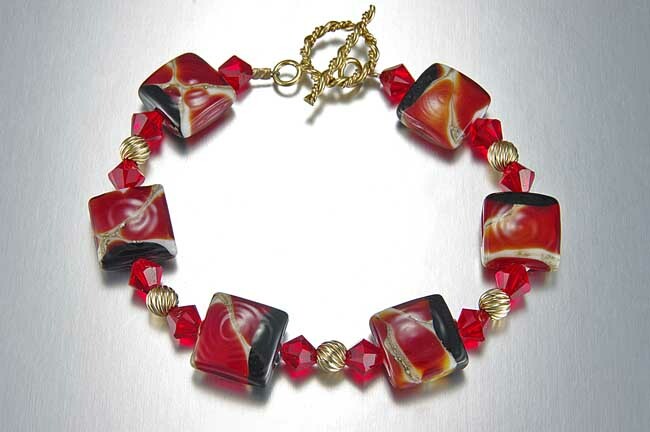 This bracelet uses the two techniques of bead stringing and chain maille. 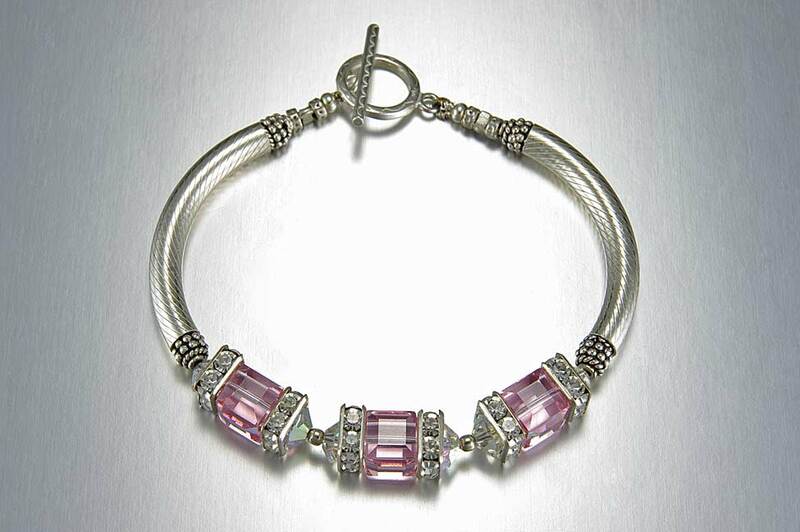 It can be made in any Swarovski color combination. 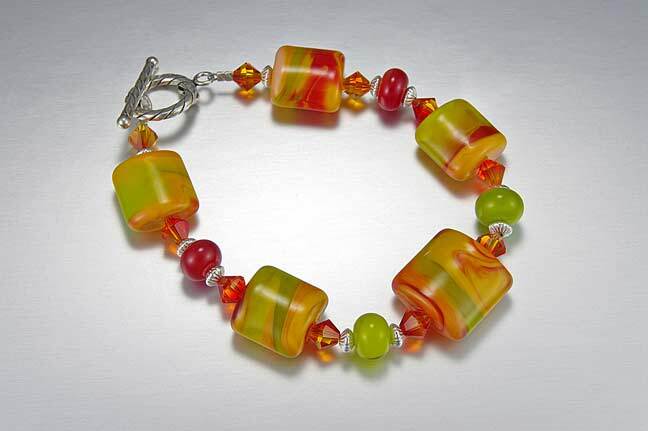 Green and pink lampwork bead bracelets never hang around long. 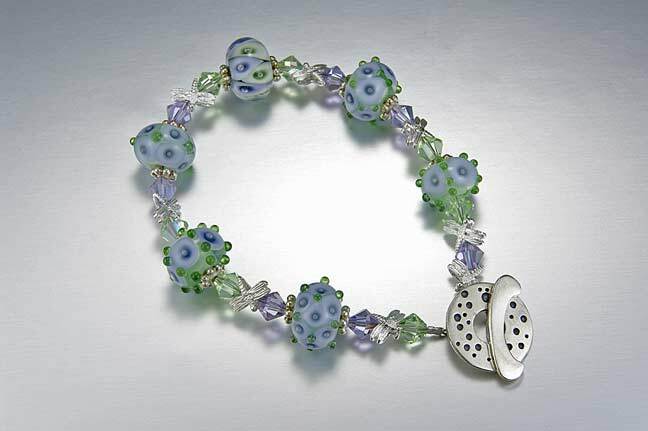 This one is sitting in my bead room waiting for a home. 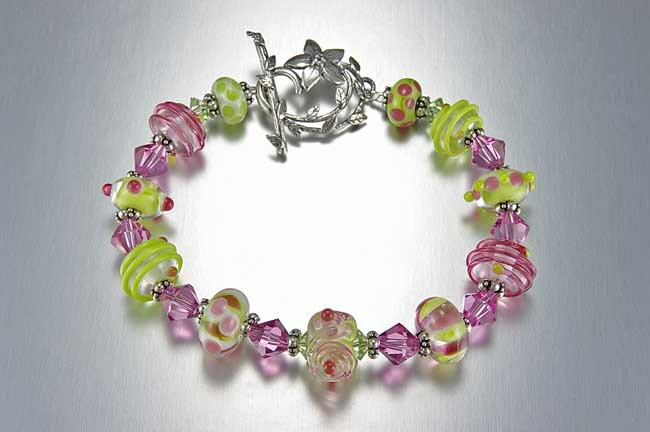 The bracelet is made up of green and pink lampwork from Firebug beads, Swarovski 8mm bicones, and a fabulous toggle. 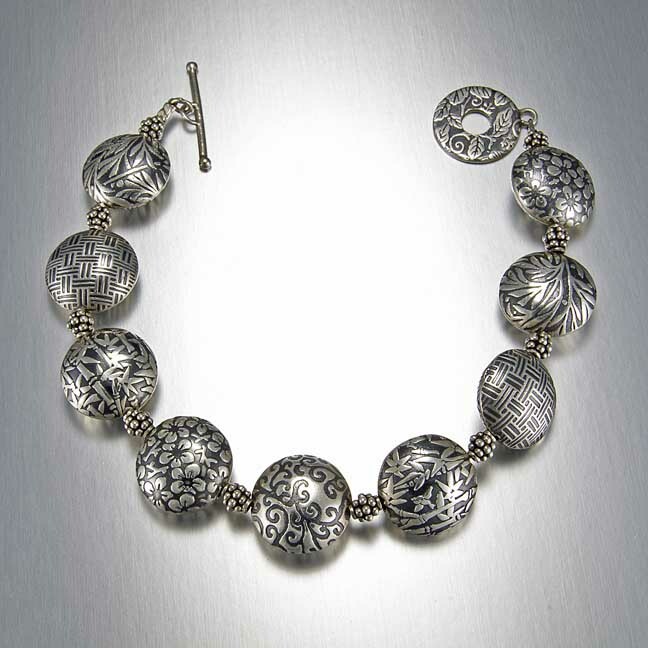 Stunning 10mm Swarovski cubes paired with squaredells and sterling silver tubes. You can choose any color of Swarovski cubes and squaredells. 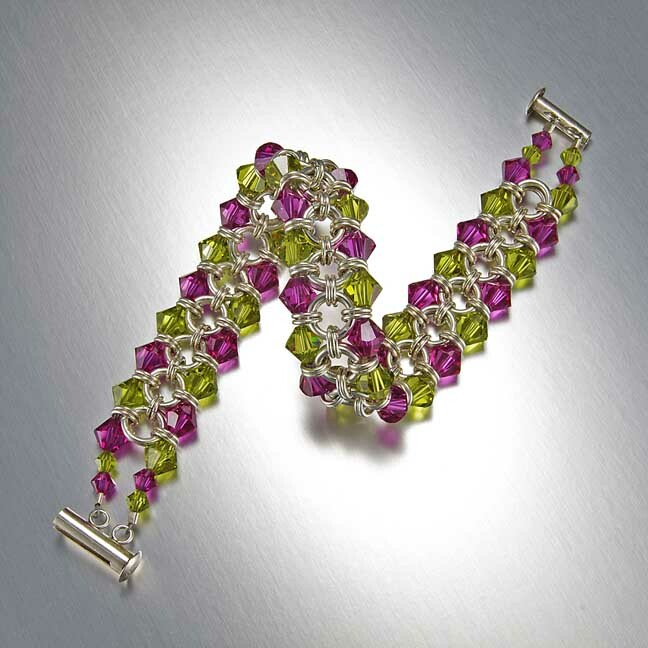 See Swarovski color chart on this website. 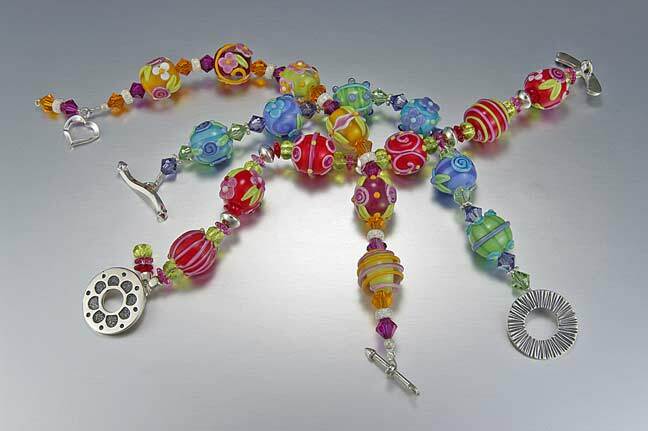 Beautiful colors in these beads. 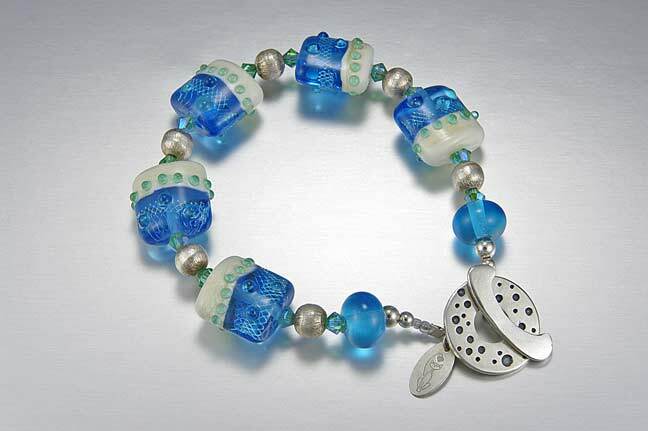 The bracelet was in Manitou Springs at the Commonwheel Co-op's gallery show "Flights of Fancy." Looks good enough to eat. Note the tea pot toggle. It is in Wrought'n Apples right now. 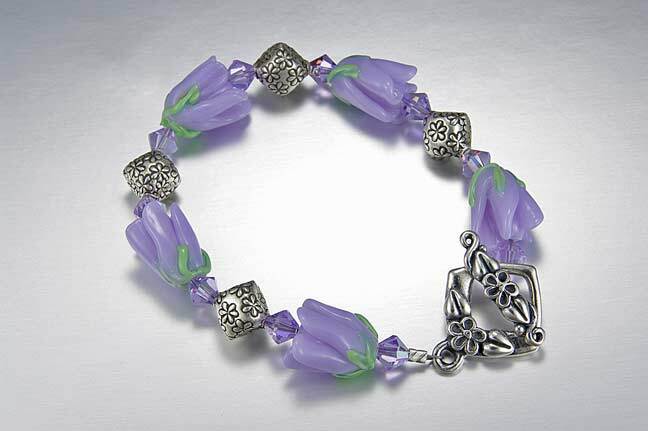 Fun, violet tulips and a custom flower toggle from Neomythica. From Flight of Fancy. Just wanted to show you how I "sign" most pieces with my kitten tag. 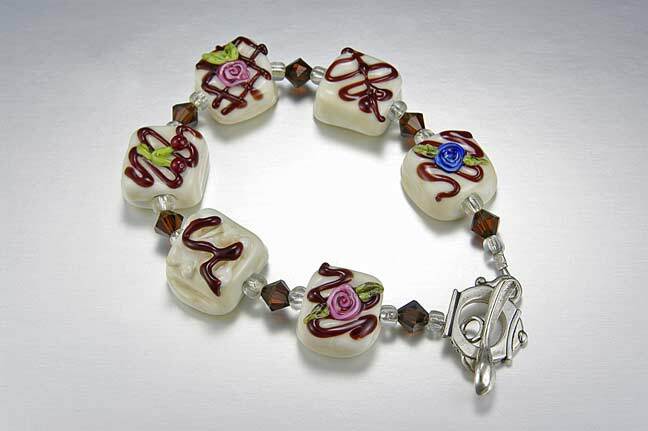 (Sorry, this bracelet belongs to me.) Contact me for a similar one.